Gov. 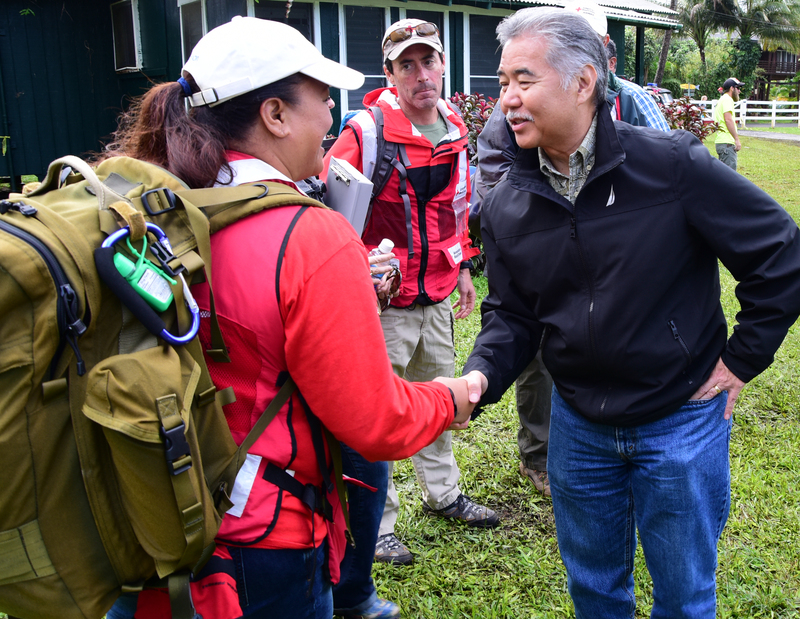 Ige thanks Renise Bayne and Pedraic Gallagher from the Red Cross for their help on Kaua’i. 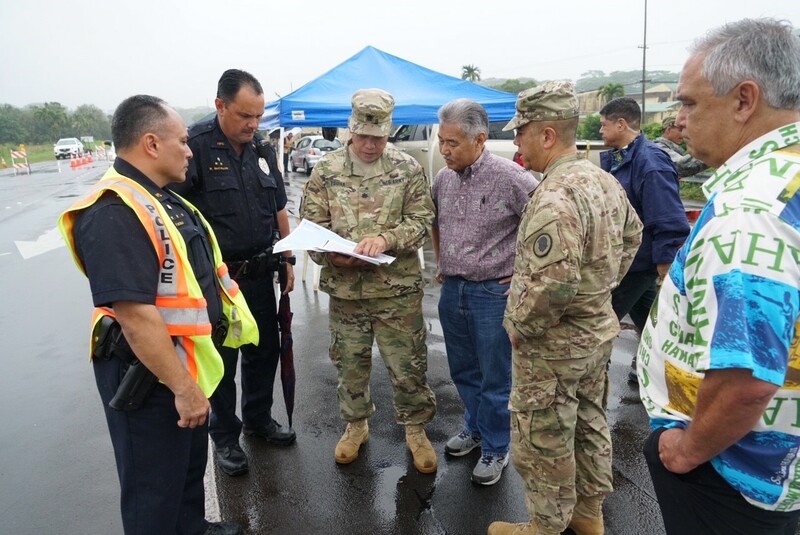 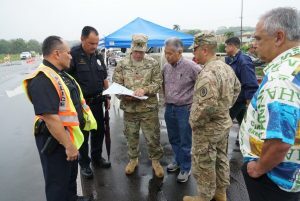 Hawai’i National Guard and police officers discuss emergency strategies with the governor.